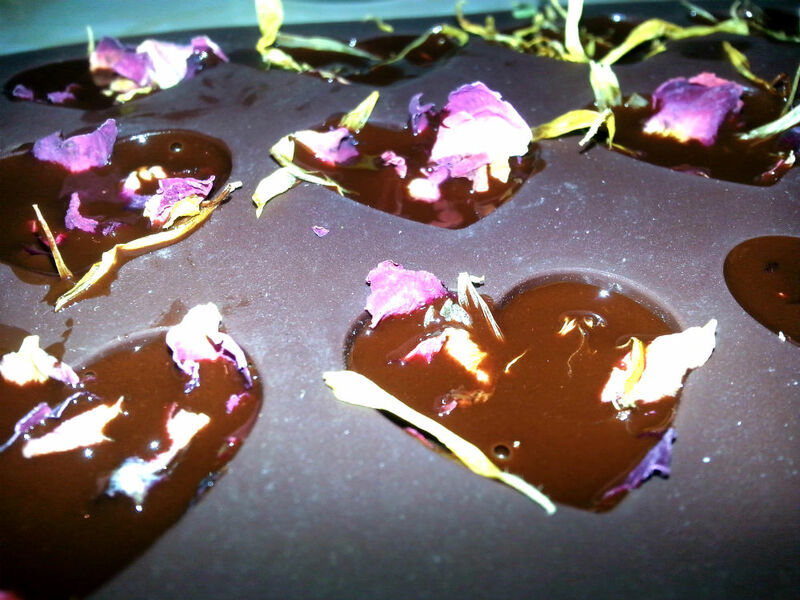 I was, up until recently, a virgin at making raw chocolates. Approaching Christmas time I thought this ought to change. So after some research, I gathered together ingredients from several different places to make my first two batches. I thought I’d share the results with you all! So I picked up a lovely little heart silicone mold from Wilkinson for £2.99. 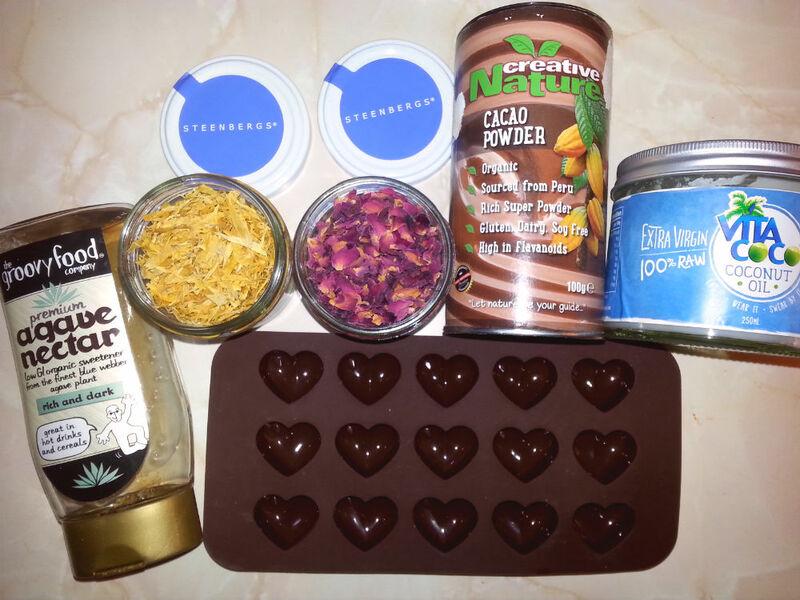 Super wholefood suppliers Suma sent me some amazing Raw Cacao Powder from Creative Nature and the fabulous Steenberg’s offered up some beautiful dried rose petals and marigold flowers. The other key ingredients were Agave Nectar (a vegan honey alternative available from health shops) and Coconut Oil (also now widely available). I’ve made two batches of what can only be described as the most luxurious, rich, velvety chocolates you could possibly imagine.. and they definitely put a spark in your step. For the first batch I used Choc Chick’s Cacao Butter and for the second, I used Coconut Oil. Both worked really well. The pictures were taken during the making of both lots of chocolates! 1. 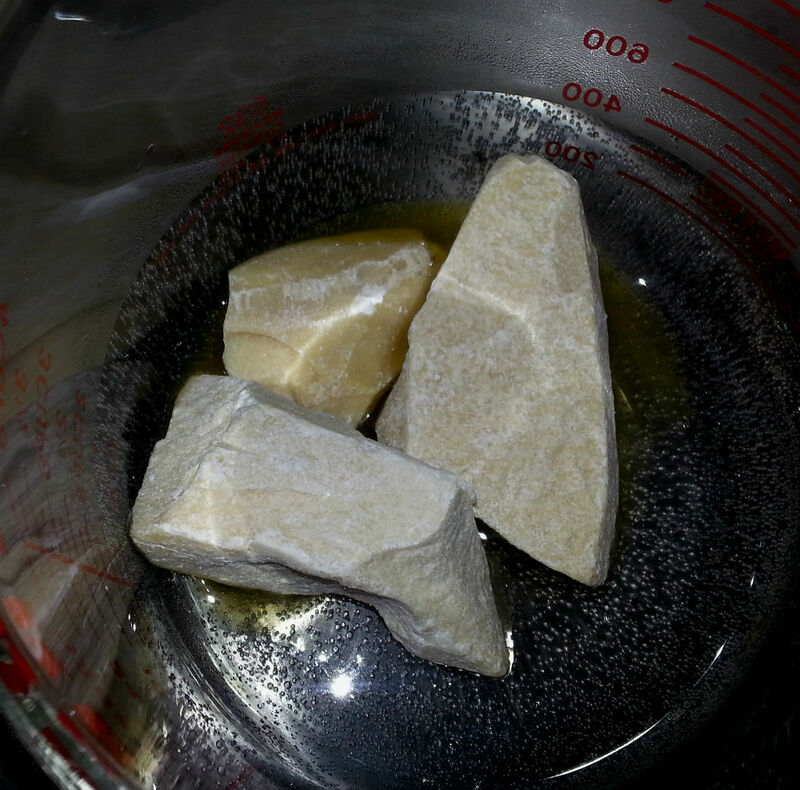 Melt the cacao butter and/or coconut oil in a bowl over a pan of water on a low heat (Bain Marie). 2. 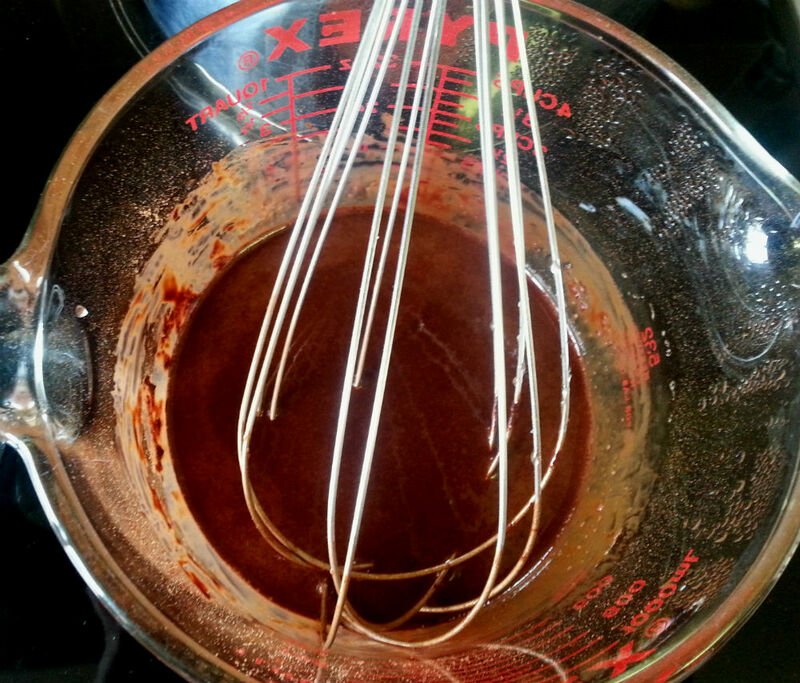 Once melted, take off the heat and then add the cacao powder, salt and agave nectar. Mix well with a balloon whisk. 3. Pour carefully into your silicone mold tray. You may need to do a couple of batches if you only have one, with 12 spaces for example. Carefully place some edible flowers in the top of each one. 4. Leave to set in the freezer for 15-20 minutes, before carefully removing from the tray and enjoying! Be prepared to feel wonderful eating these! So what is raw chocolate and why is it different from ‘normal’ chocolate? The process for making chocolate is fairly simple: heat cacao beans, grind into a liqueur, add fat and sweeten. However, subtle alterations at any of these stages can result in wildly different chocolate bars. The fundamental difference between your commercial chocolate bar (such as Cadbury’s or Green & Blacks) and raw chocolate (like this recipe) is this: the cacao in raw chocolate is never heated above 45°C, unlike commercial chocolate which is roasted at 130°C, meaning all the anti-oxidants, enzymes and nutrients remain intact. What’s more, whereas most commercial bars are chock full of sugar, milk, saturated, hydrogenated fats and flavourings, raw chocolate is made up just four simple ingredients; cacao beans (chocolate), cacao or coconut butter (fat) and agave syrup (sweetener) plus natural essential oils, berries and nuts for flavouring. Why is Cacao good for you? Nutritionally, cacao is a powerhouse of over 300 nutritients including antioxidants, flavonoids, fibre, iron, zinc, copper, calcium and magnesium. It also contains tryptophan, known to ameliorate depression, and the bliss inducing chemicals anandamine and phenylethylamine which simulate the feeling of falling in love. Oh, and it’s an aphrodisiac. Raw chocolate producers also sprinkle in a healthy dose of superfoods such as goji berries, which are rich in anti-oxidants and vitamin C, acai berries containing vitamins A,B, C and D, lacuma powder, which is a natural sweetener and high in iron, and Maca, which is an energy boosting and hormone balancing powder from the Andes. 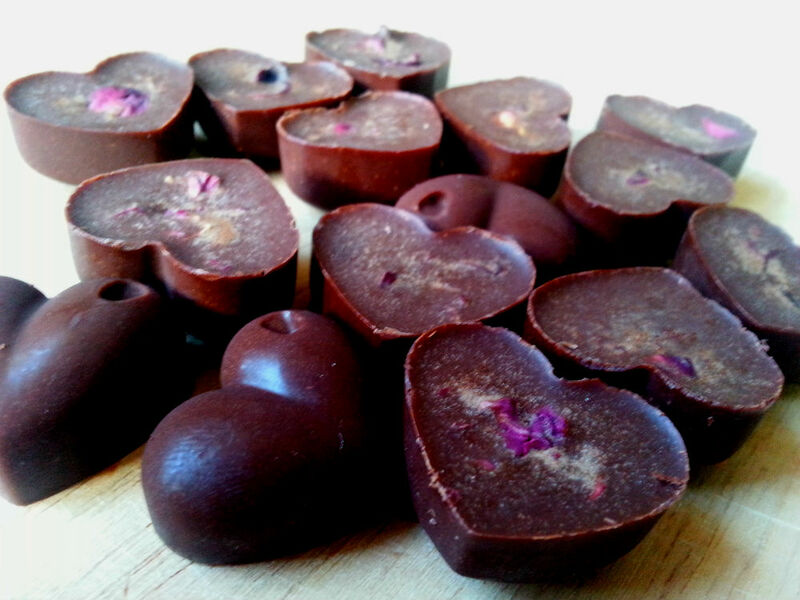 This entry was posted in Recipes and tagged cacao, raw chocolate, raw chocolate recipe, superfoods, vegan, vegetarian by Great Green Kitchen, Womankind Yoga, SUP Yoga Swansea. Bookmark the permalink.